String ensemble - serving N.C., Virginia, Tennessee, South Carolina. 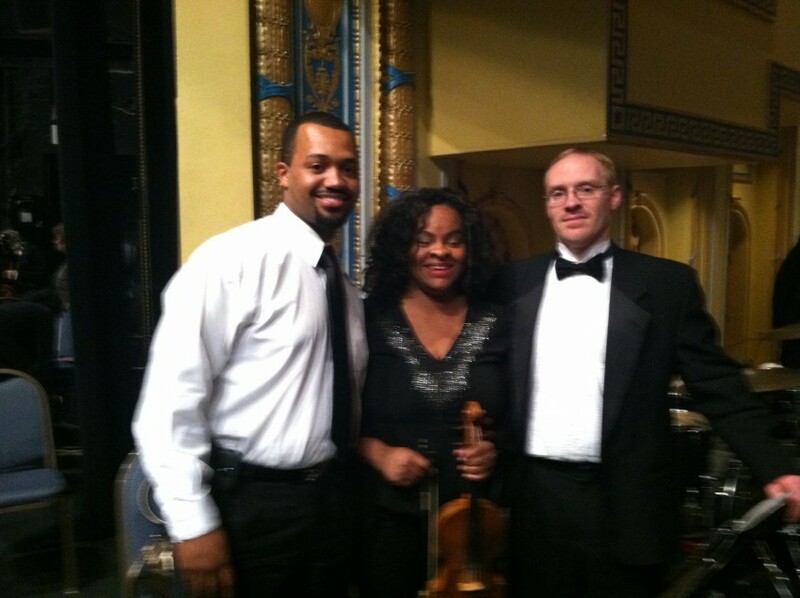 Members play in the prestigious N.C. Symphony, Greensboro Symphony,Roanoke Symphony, Richmond Symphony, and more. Versatile, accomplished, honest, and flexible. Blue Sands Music is comprised of some the finest musicians in NC and Virginia. Over 10 years experience playing for ALL types of special events. All styles of music can be played - Bach, Beatles, Cold Play, etc. We create the perfect ambiance for your occasion. 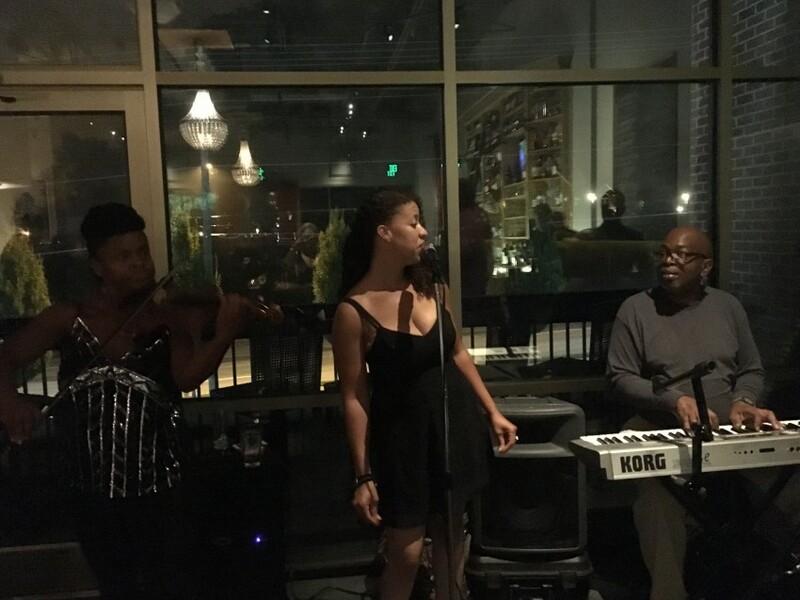 The violin and keyboard were the right combination for our Induction and Anniversary celebration. Their performance was superb and provided opportunities for listening and talking without feeling that you may be disturbing those who wanted to listen to the beautiful music. Blue Sands Music will be high on our list for future events. Thanks for a wonderful performance. It was a pleasure and an honor to play for your dinner for your organization’s Anniversary celebration. We’re happy that you enjoyed the music quality and choices. What a wonderful organization you have! And what wonderful people! We’d love to play for you for future events. Thanks for choosing Blue Sands Entertainment/ Blue Sands Music. Blue Sands Music played for our daughters wedding and were amazing. Ruby was my contact person prior to the big day and was always there for any questions or concerns that came up before the wedding. Ruby drove in early to be at our rehearsal as it was very early the day before. I can’t say enough about the quality of the music provided. They were exceptional and will make any event first class . Thank you Blue Sands Music for making our daughters dream wedding become a reality. Thank you for choosing us Kelly. It was definitely a pleasure working with you and your daughter for her wedding and cocktail hour. And the father daughter dance is one we’ll never forget 👍🏻 We hope to see you soon. Blue Sands Music was awesome she did a great job. My sister got married outside on June 30th 2018 it was a surprise for the violinist to be there. She was definitely surprised and loved it. I would use her again anytime. Again everything was awesome. A friend recommended Blue Sands to me for my daughter's wedding. They were terrific...so professional and classy. I really appreciated how accommodating they were to my daughter's request....a mix of classical & contemporary. Well done. Highly recommend. Awww thanks Robert. We truly enjoyed playing for you and celebrating your birthday 🎂. Thanks again for choosing us. Music was perfect! My every request was played! Ruby was extremely easy, efficient, and enthusiastic about our plans. Will highly recommend. Thank you Jorgann! We’re so happy that you all enjoyed the music. Each vendor that you used was very professional and you did a great job helping to plan. Have you considered event planning on the side (smile). We hope to play for you again soon! Thank you for choosing Blue Sands Music! Ruby is amazing! Very responsive and was able to coordinate everything in a very short timeframe. Would highly recommend hiring Ruby and the Blue Sands group for your next event. 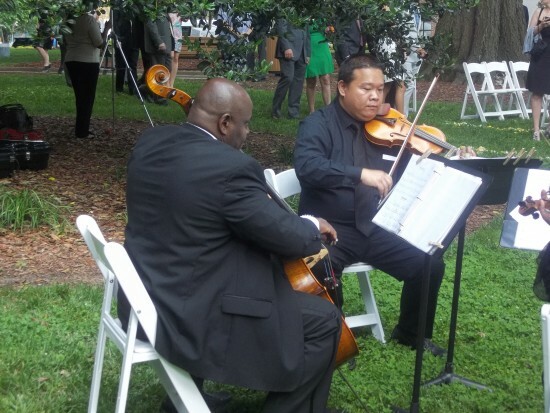 When you have the ceremony, we’d love to play for you! Blue Sands Music did an excellent performance at my daughter's wedding this past weekend. Ruby was there for us every step of the way from song selections to attending rehearsal and even learning songs they had not performed yet. We had a violin and cello player for the ceremony and cocktail hour. We heard many great reviews from our guests on the music - perfect!!! For my wedding I had envisioned a romantic floral theme. The music that Blue Sands provided made everyone feel like they were in a fairy tale! Everyone loved them and not an eye was dry for the ceremony! Kayla and her mother have been absolutely wonderful to work with. They made sure that we had proper covering. We were able to play the music that she wanted for her fairy tale wedding theme. Kayla is an elegant princess and she exudes that in every way. Blue Sands for you wedding or any event! The music was lovely. Unfortunately, they did not play "Can't Help Falling in Love" for the mothers (of the bride and groom) to walk down the isle to. They started playing the bridesmaids processional, so the mothers & bridesmaids all walked down the aisle to the same song. (We had selected that song because it was the song the groom's parents walked down the aisle to when they were married and I wanted to surprise them with that song.) So it was a very disappointing and many of the guests mentioned it to me, so they obviously noticed that the song wasn't played. We're pleased that everyone thought our music was lovely! We spend countless hours preparing for events so that each one is done well. We ask that specific music requests are given to us in a timely manner so that we can prepare . Other pertinent information that we need to know is the person(s) who will provide cues, the program order (as each wedding is unique ), and a few other things. Visibility / accurate cueing are both extremely important for the musicians when playing at any wedding. Our musicians were ready to play each selection, including "Can't Help Falling In Love" as planned. Visibility was not clear for the wedding planner's assistant giving us cues, nor for us. We were told to play the bridesmaids song, so we obliged. Unfortunately, we were also told to 'continue' playing it after we stated that we needed to change selections. We're happy to talk with you, as we strive for excellence and maintaining happy clients. Professional music done in excellence! Ruby is professional and pleasant to deal with! I will always call them back! Everything for our reception turned out wonderfully. The musicians were on time, very professional, reasonably priced and played a wonderful assortment of songs. Everyone was pleased with the event. I would definitely book them for another event. Thank You! Thank You! It was so nice to work with you. We still reminisce on how the employees thought that they heard the radio playing throughout but realized that it was live music as they stood above us to hear us play. We will always be glad to play for any future events that you have! Once again, a great performance! This is the third time we have used Blue Sands Music and, once again, we are extremely pleased with the music. We had a 4 piece ensemble this time, with more contemporary music, and it was fabulous. The musicians are always professional, easy to work with, on time, and fun! This is the second time we have used Blue Sands and both times were excellent. The music is great, everyone always has compliments, they are easy to work with, and are fun! We are using them again in January for another event. Ruby went above and beyond to accommodate us. Very gifted musician and an all around great person. Beautiful violinist great music all around wonderful. I had worked with Ruby for weeks to make sure our music was exactly what we wanted and it was perfect!! We had so many compliments from our guests and even our Pastor said what a great job they did in keeping the ceremony flowing smoothly. I am pretty sure some of my guests picked up a business card or two for booking something as well. Thank you Ruby and your team for making our wedding everything we had hoped for! KUDOS! Everything was wonderful about our entire experience with Blue Sands. Communication was great; clear and timely. The group arrived at our venue well prepared, set up quickly and efficiently, and played beautifully for both the wedding ceremony and our cocktail reception. Absolutely amazing group, very talented and very professional. Everyone enjoyed and loved their music. My husband and I were referred to Blue Sands Music by our wedding planner. We were very please with Blue Sands. From the time I spoke with Ruby , concluding with the beautiful music for the wedding day the service was fantastic. The musicians were on time, dressed appropriately and they sounded amazing. Blue Sands added a special touch to our wedding day that we will never forget. Thanks Tiffany....Your royal wedding created by the fantastic Creative Touch team was unsurpassed. Plus you all looked amazing! When you have another special occasion needing music, please let us know! The music was beautiful! I was super pleased with every aspect of this trio. Very professional, on time and talented!! I felt like I knew them and they were treasured guests at the wedding. Do not hesitate to book them! They are impeccable. My husband and I booked Blue Sands Music to play at our wedding ceremony, and we are so happy we did. Ruby did a fantastic job playing solo violin - she was punctual, easy to work with, and a fabulous musician. She even stayed for a few minutes to play with our guitarist for our cocktail hour - we caught bits and pieces of that while taking pictures, and it sounded amazing. Thank you, Ruby!! Thank you for leaving a review for the music. It was such a pleasure to provide the music for your wedding. Weather was perfect and everything turned out beautifully. I was honored to be your musician of choice. We had a small party and the violin duo came to play a few songs. It was awesome! Definitely would recommend this group. Blue Sands was TOP Notch! Blue Sands recently played for an event for me. They were punctual, professional, easy to work with and there music was amazing! It was the perfect fit for our mixer! I was very pleased. I would definitely work with them again! Thanks Jennifer. You were great to work with and we look forward to working with you for future events and endeavors! Congrats to you for doing a great job! I was extremely impressed with the quality and professionalism this group provided for my Husband and I at our wedding! My mom is a pianist and has played in many weddings throughout her career. I wanted her to play with a cello as I walked down the isle. Ruby and the rest of the group were able to grant my wishes and it was magical! They played a wide variety of music including some contemporary and some classical. I would most definitely recommend them to one looking for a great quartet. We really enjoyed playing with your mom and helping make your day so special. The grounds were so beautifully decorated and we enjoyed playing for you. Please keep Blue Sands Music in mind in the future. Thanks again! Excellent musicians and so stress free! I was so pleased to meet Ruby at a Bridal Show and what a great experience I had with Blue Sands. They were so easy to work with! They had great song suggestions and played songs I requested. They followed through and showed up on time to everything and I did not have to worry about them at all - which is such a bonus to a bride planning her own wedding! Elegant music and easy to work with!! I was very pleased with the trio that played at my wedding. The music was beautiful and the coordinator, Ruby, is so great to work with! I will recommend them to my friends and family for events. Thank you Ashley! We were glad to be a part of your special day. Loved the rustic look and the mantle you used as a decoration. Let us know when you need special music again. And thanks for using Blue Sands Music~ We will talk soon! Ruby and the rest of the Blue Sands Music group were completely amazing as musicians for our wedding. They provided really great quality music at a reasonable rate (and offered a student discount -- very kind), and worked with us beforehand on song choice and overall styling of the music. My mother and I are both musicians (violinists) and so having good classical music at my wedding was really important to us. Ruby listened to our thoughts, made the time to meet me and my now-husband in person, and came up with a variety of songs for the prelude that fit the sound of the select songs we picked for the processional/recessionals. I'm very very thankful for all the hard work they put into this special occasion, and would absolutely highly recommend them all for any kind of music at your next event! Loved working with Blue Sands Music, they were prompt, took direction well, and are a group of wonderfully talented musicians. Thanks so much for making my wedding day special. What a beautiful day it turned out to be for you in the Gardens! We were SO happy to celebrate with you. Thank you for your wonderful review of our services. Again, Congratulations! So very professional, punctual, and amazingly gifted! Thank you Ruby Prescott for making my event a success! BLUE SANDS MUSIC WAS AWESOME!!! 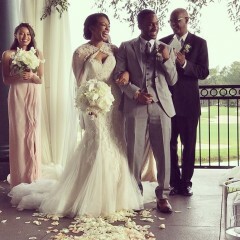 Blue Sands Music provided EXCEPTIONAL service for my daughter's wedding at Duke Gardens in Durham. My daughter and her fiancé decided to get married before his deployment to Korea instead of waiting for his return next year so we had only 6 WEEKS to prepare for the wedding. When I called Blue Sands Music, they were so helpful with selecting the music, their willingness to accept this performance with so little notice and not to mention it was Mother's Day weekend! There wasn't even time for a rehearsal, but you would never have known it since their talent and professionalism was spot on. My daughter is THRILLED with her wedding and I am so very thankful for Blue Sands Music helping me to make my daughter's wedding day a cherished memory. I must say that my experience with Blue Sands Music was awesome! My event would certainly not have been complete without their melodious sound! I will definitely bring them aboard again! I was very happy with this group. They communicated well, arrived promptly and were very easy to work with. They even learned a song I requested with only a day's notice. Elegant and tasteful musical selections, perfect for our intimate gathering. Thanks! Thank you Tiffany! It was wonderful to be able to provide the music that you wanted for your family party. Your family and friends were so welcoming and your grandmother was precious! Thank you for choosing us. We look forward to playing for you again in the future! We are Blue Sands Music and Entertainment. We provide live music and DJ services for any occasion or event. Our ensembles can be made to fit your needs. If you want a string quartet, then we can make it happen. If you want a singer of any kind, we can provide excellent singers for you. We also have DJ's who will help make your event a blast. We need chairs without arms for the instrumentalists.